I recycle old sea tales (tharrrr I was) for the general amusement of readers but also stay current. In that vein check out this story in the Portland (Maine) Press Herald about Bruce Schwab, the first American sailor to finish the Vendee Globe, a single-handed, nonstop, 'round-the-world race, on Feb. 25. Bruce made the first public appearance since he finished the race at a high school in Brunswick, ME this past Friday..spinning sea tales, he discussed bouts with monster waves and storms, struggles to repair his boat, etc. Schwab logged 23,680 miles and spent 109 days at sea. He was among 20 skippers who raced in the Vendee Globe, 13 of whom finished. According to the article sailing in the South Sea was like "rolling the dice." 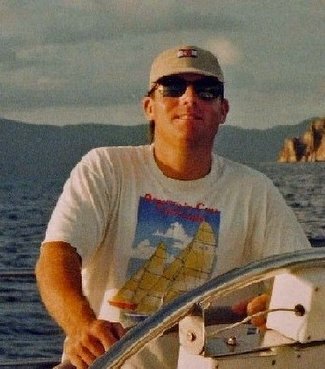 Here is an example of a modern day sailing hero who has not as much scratch as the scions of the Moet Cup ’03 (see last post)...but who has a bigger set?